ALS is commonly referred to as Lou Gehrig's Disease, but for anyone who has or knows someone who has ALS, it is very personal. ALS -- Amyotrophic Lateral Sclerosis -- attacks and destroys motor neurons. The messages sent from the brain and/or spinal cord to the voluntary muscles don't reach their destination. When this happens, the ability to control muscle movement is lost, while leaving mental function intact. Eventually, a person with ALS cannot move limbs, eat, speak, or breathe, which ultimately leads to death. How many people have ALS? At any one time, about 30,000 people have ALS. On the average, every day 15 people are diagnosed with the disease -- and every day 15 people die from it. Is there a treatment or cure for ALS? ALS is referred to as an "orphan disease." Much of the ALS research funding comes from grassroots efforts. Most research is done at the academic, small pharmaceutical, and therapeutic level. Research is costly, and large pharmaceutical companies invest very little money on ALS research because the ALS population is relatively small. Until viable treatments are found, though, the ALS population remains static. A viable treatment could mean a larger ALS population, more research investment dollars, and an eventual cure. 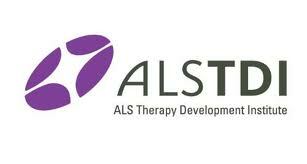 ALS "webinars" are live or archived online seminars for people with ALS. Experts explain the scientific rationale and design of current ALS clinical research. Live webinars offer participants the opportunity to ask questions directly to the experts running trials. The National Registry (run by the Center for Disease Control's Agency for Toxic Substances and Disease Registry) is a national database of information from patients and families designed to speed the search for effective ALS treatments. By compiling a large database of information, the ATSDR hopes to learn more about the incidence and prevalence of ALS, how the disease develops, and what types of treatments and interventions are beneficial. Patients and/or their caregivers are encouraged to register and fill out short surveys about their and their families’ health histories, their military background, as well as environmental, occupational and other exposures. A website that allows people affected with various diseases (including ALS) to communicate, share information, help each other, provide support, lend guidance, and give feedback to whatever degree each individual would like. Digital Me is an aspect of Patients Like Me that captures data about living with diseases through blood draws, tissue samples, and information, then analyzes that data to measure where you are today, combine this with your experience over time, and apply advanced mathematical techniques to expand their knowledge of biology and disease. The advancements in understanding will be shared with researchers to work towards treatments and a cure. Check out Patients Like Me! MDA clinics and MDA/ALS centers are staffed by multidisciplinary teams of health professionals skilled in the diagnosis and medical management of ALS, including symptom control, medical interventions and therapies to help maintain the highest possible quality of life. MDA clinic teams may include neurologists, therapists (physical, occupational, speech and respiratory), nutritionists, social workers, pulmonologists, gastroenterologists and medical equipment specialists. Click logo to go to website for more information on the disease, research, and patient and family support.